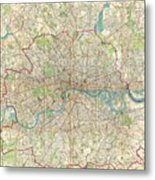 There are no comments for 1899 Bartholomew Fire Brigade Map Of London England . Click here to post the first comment. 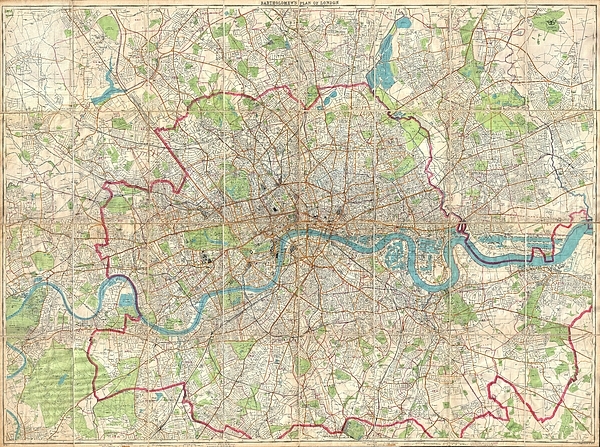 An enormously proportioned and extremely unusual map of London, England prepared by John Bartholomew. Covers the entire city of London from Kenton in the northwest, to Richmond Park in the southwest, to Hospital Hill in the northeast and Longlands in the southeast. 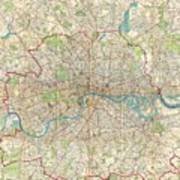 Offers extraordinary detail freely labeling individual buildings, streets, and waterways throughout London. 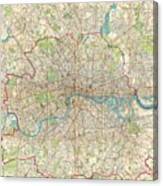 Prepared as a �London Fire Brigade Instructional Map� with the area of London patrolled by the fire brigades outlined in red. 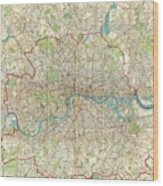 Probably not originally a fire brigade map, but adopted by the fire brigade commanders from Bartholomew�s Plan of London , the best available at the time. Undated, but fits with the style and layout of the late 19th century. A rare and magnificent piece of London history.